Don't kid yourself. You ALWAYS have room for dessert! Savour all of these palatable desserts while in Seoul! It’s hot. The sun is sweltering and beating down on your back while sweat droplets form on your temple before rolling down the sides of your face. Your eyes dart from left to right – constantly in search for something…anything, to relieve you from the scorching heat. Your portable fan just isn’t cutting it for you anymore. And then, you spot it at the corner of your eye, like an oasis in the desert. A dessert shop, serving up the finest and more importantly, coldest treats in Seoul. Okay, we might be exaggerating just a teeny weeny bit. But luckily for you, we’re here to shorten your search! Read on for a comprehensive list of 17 dessert places in Seoul to help you keep cool this summer. You don’t have to be in Korea to have heard of Sulbing. 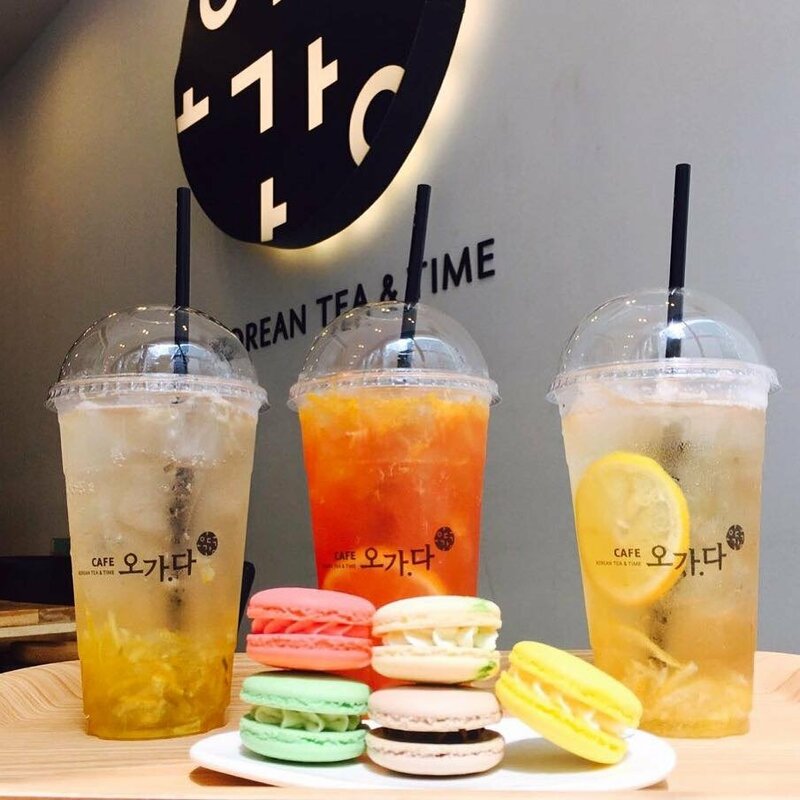 This korean dessert cafe is one of the largest chains in Korea, popular with both locals and tourists alike. All for one signature dish: bingsu. 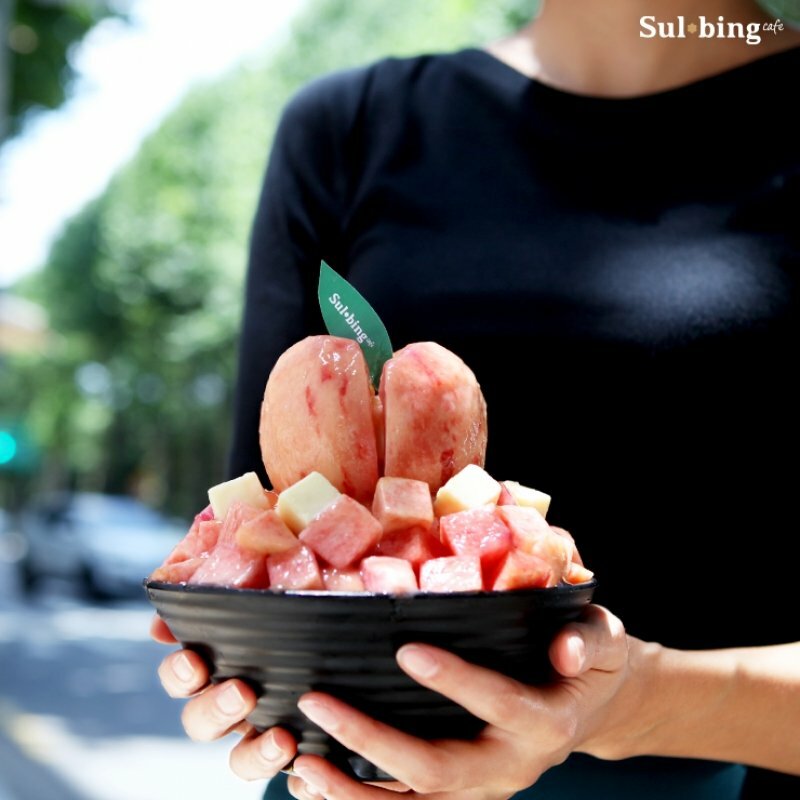 At its most basic form, bingsu is essentially a bowl of finely shaved ice, covered with various toppings and finished off with a drizzle of sweet, sweet syrup. What better way to combat the summer heat than with this ice cold treat? In fact, because bingsu is most popular during the summer months in Korea, you can definitely expect to see several new flavours being introduced! Koreans are crazily creative and will find a way to put anything on top of bingsu. 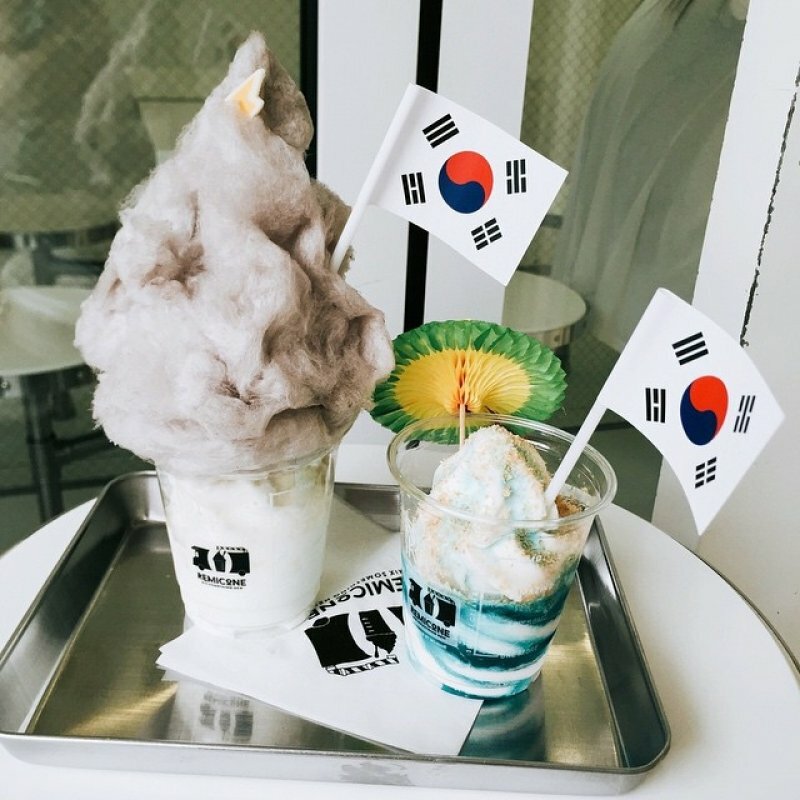 From the classic red bean, to popular flavours like green tea and mango, to adventurous cheese flavored bingsu – there’s something for everyone. 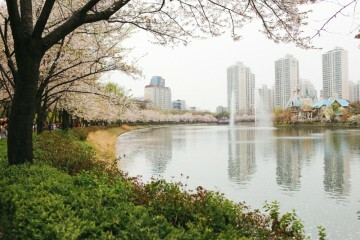 Address: Various locations; check out their website for the full list of locations in Seoul. This is your usual soft-serve ice cream, but on steroids; layer after layer is repeatedly piled into a cone, until it reaches a towering height of 32cm. Available in assorted flavors such as chocolate, vanilla, mango and green tea for only ₩2,000 (~S$2.50) – our challenge to you is to finish the cone without it melting down your hand (the trick is to share!). Check this out if you’re in need of something cold after a day spent shopping at Myeongdong. 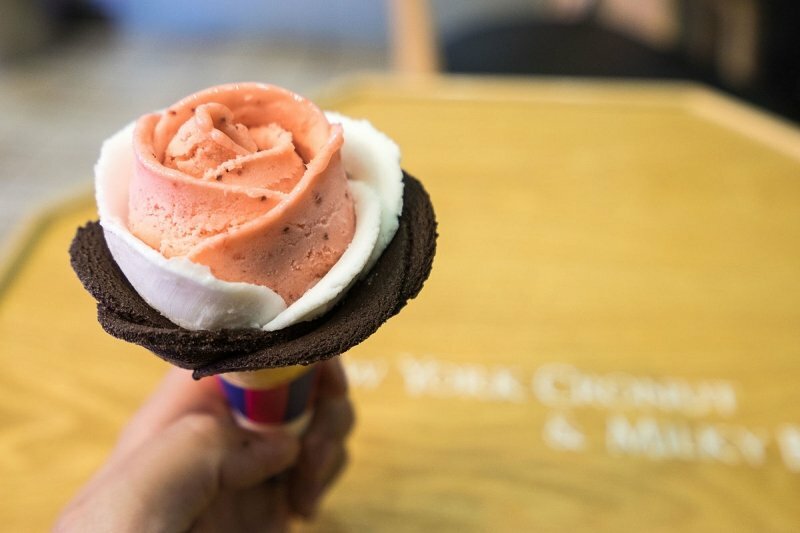 Since we’re on the topic of ice cream, let’s talk about how this lovely rose is made entirely out of gelato petals. For those who prefer something lighter, this milk-based ice cream is for you! Choose from yoghurt, strawberry, chocolate or green tea gelato and watch in satisfaction as the servers shape the gelato into beautiful petals that adorn your cone. You’ll be able to snag this blooming beauty yourself at ₩5,500 to ₩6,000 (~S$6 to 8). It’s almost too pretty to eat…but the heat might change your mind about that. Either the petals melt first, or you do. Who’s it going to be? This is ice cream for adults. Centered on naturalism, desserts at Sobok are handmade with organic ingredients, such as unpolished rice. For those looking for something that isn’t diabetes inducing, Sobok Ice Cream might be the perfect choice. The soft serve is made with several different grains and naturally sweetened with jocheong, a traditional rice syrup. Surprisingly creamy with an intense flavor that is reminiscent of roasted sesame seed, this is ideal on a sweltering day. 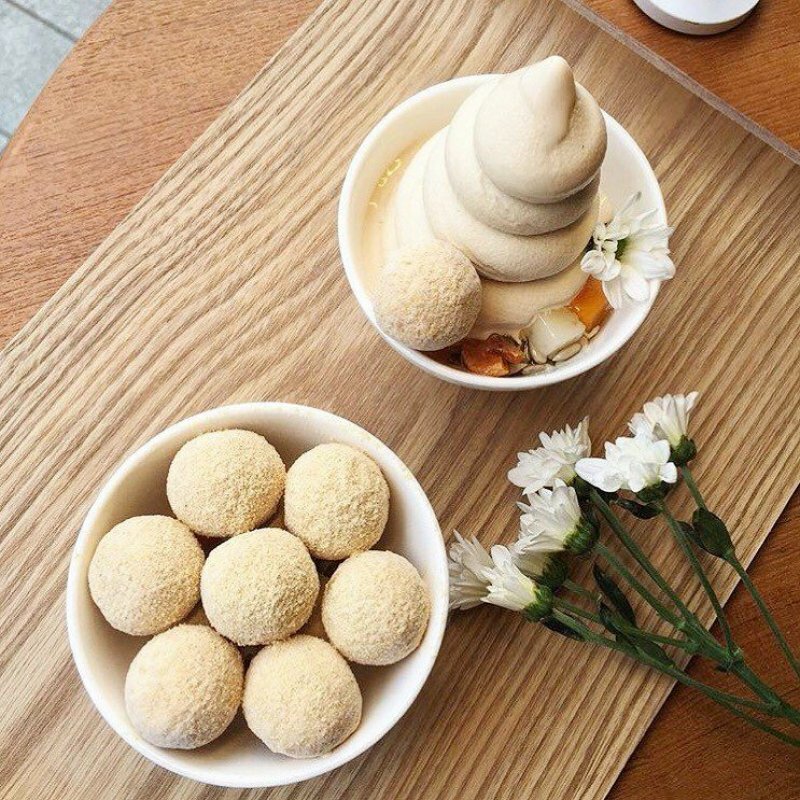 If ice cream isn’t your thing, you might want to give Sobok’s Injeolmi Ice Balls a try. An attempt to modernize traditional Korean rice cakes, these Injeolmi Ice Balls are refreshing! Just pop one into your mouth and simmer down as the shaved ice melts away in your mouth, leaving behind a chewy rice cake on your tongue. This dessert place makes it on our list for its Instagram factor. 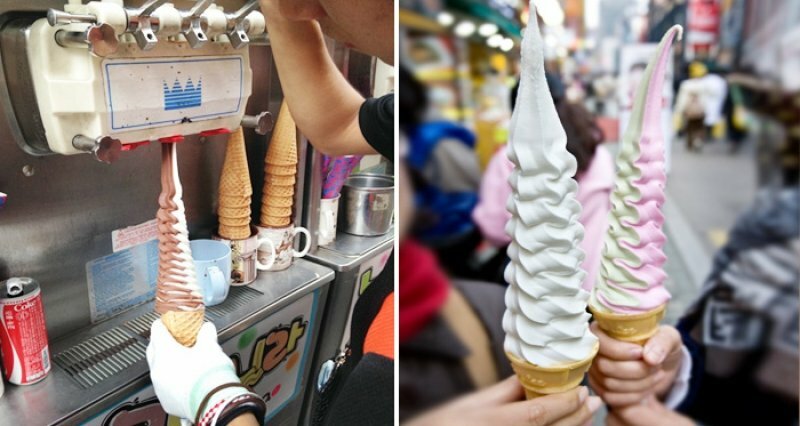 By now, you’ve probably realized that Koreans have several variations of typical soft-serve ice cream. Remicone serves up yet another fun, exciting way to eat the frozen dessert and their trademark Thunder Bomb is a testament to that! Sweet ice cream at the base, topped with fluffy grey cotton candy and a cute candied thunderbolt – this makes for the perfect picture! Novelty aside, Remicone’s ice cream is pretty standard and the cotton candy also makes the dessert a little sweet. But the experience and cute interior of the cafe makes visiting at least once worth it. They also serve up slushies and fresh fruit teas as well, all of which are deserving of Instagram. Bora means purple in Korean. Can you guess the speciality of this café yet? That’s right, purple desserts. Or more specifically, purple sweet potato desserts! With sweet potatoes considered one of the world’s healthiest foods, you’ll be able to indulge over the summer without feeling any guilt at Café Bora…right? A layer of sweet potato foam lies artistically on top of their Bora bingsu, providing that intense flavor with each spoonful of shaved ice. On the other hand, the homemade ice cream is silky smooth and delectable with a hint of sweetness, nothing too overpowering. Café Bora has also expanded their menu recently, with items that aren’t purple! So even if you don’t enjoy sweet potato, you have nothing to worry about. Just take note that the cafe has a small seating area, so be prepared to wait a little. 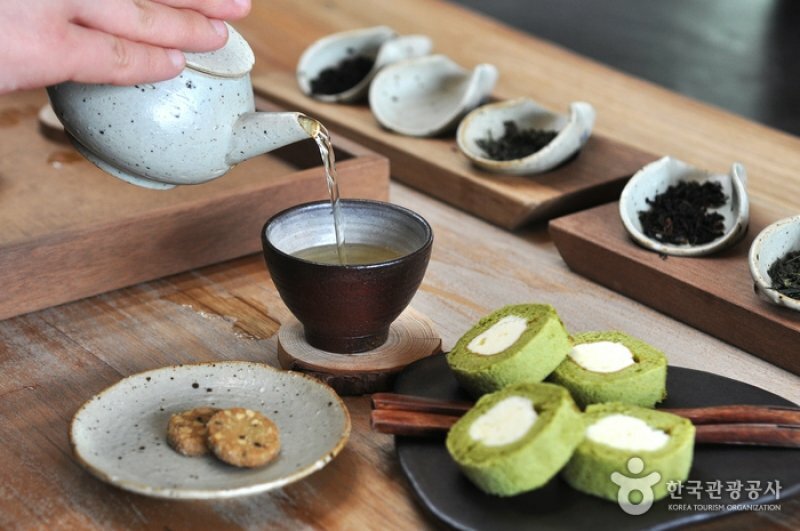 Famous for their museum in Jeju, Seoul is blessed with O’sulloc Tea Houses as well. People from all over the world flock to the O’sulloc branches to get a taste of their green tea desserts, and for good reason too. Although a little pricey, their desserts are worth every cent spent. With the laid back atmosphere and the wood-dominant interior, you’ll feel right at home while seeking respite from the heat. If you’re looking for an invigorating green tea shake, try out their Green Tea O Fredo at ₩7,000 (~S$8.70). Pair it with a slice of their Green Tea Roll Cake for an additional ₩5,000 (~S$6.20) and you’re good to go! Tip: Visit their Garosu-gil branch to avoid the crazy crowds you’ll see at Myeongdong or Insadong. *Other outlets in Seoul available as well. Being under the sun for prolonged periods can cause heat exhaustion, and in some cases even bring upon illnesses such as fever. That’s something everyone wants to avoid, especially if you’re on vacation. Lucky for you, Ogada’s medicinal teas can help combat that! With a focus on modernizing medicinal herb teas, Ogada ensures their teas are tested by an Oriental doctor. Hence, allowing everyone to enjoy the health benefits of their teas, regardless of health condition. Pick up an iced Acai Berry Blending Tea which has been infused with berries and ginseng to help increase your vitality! Cafe Ogada’s variety of teas will not only help keep you cool, but also nourish you throughout the summer. It’s summer and you want to be outdoors, enjoying the gorgeous flora and fauna that is in full bloom…the only thing stopping you is the hot, humid weather. Bummer! But, what if we told you that you could enjoy the view of enchanting flowers in cooling air-conditioned comfort? Arriate offers just that. Step into a quaint fairytale land when you enter the cafe, for every corner is decorated with fresh and dried flowers. You’ll be able to tell that the flowers are real, just from the floral scent you get upon stepping in. Order anything on the menu, and you’ll even get a fresh flower for free! Try out their revitalizing drinks, snap a few pictures and relax in the land of flowers. After meandering through the neighbourhood of classy Hannam-dong, perhaps a stop at Ma non troppo is in order. This is the perfect place to have high tea, when you’ve just about had it with the sun. Known for their cakes and tarts, Ma non troppo has received countless praise and rave reviews from locals and visitors alike. Think decadent chocolate cakes, soft rolls coated in lightly whipped cream and fresh berries, and a zesty grapefruit tea full of tangy pulp to wash it all down. Though a little on the pricey side, the taste and atmosphere of the classy café is certainly worth it. Who can resist the classic combo of ice cream and waffles, especially in the summer? This sweet treat transcends all ages, and no one does it better than Beans Bins Coffee. Even with several chains across Seoul, almost every outlet is crowded. That means something, right? 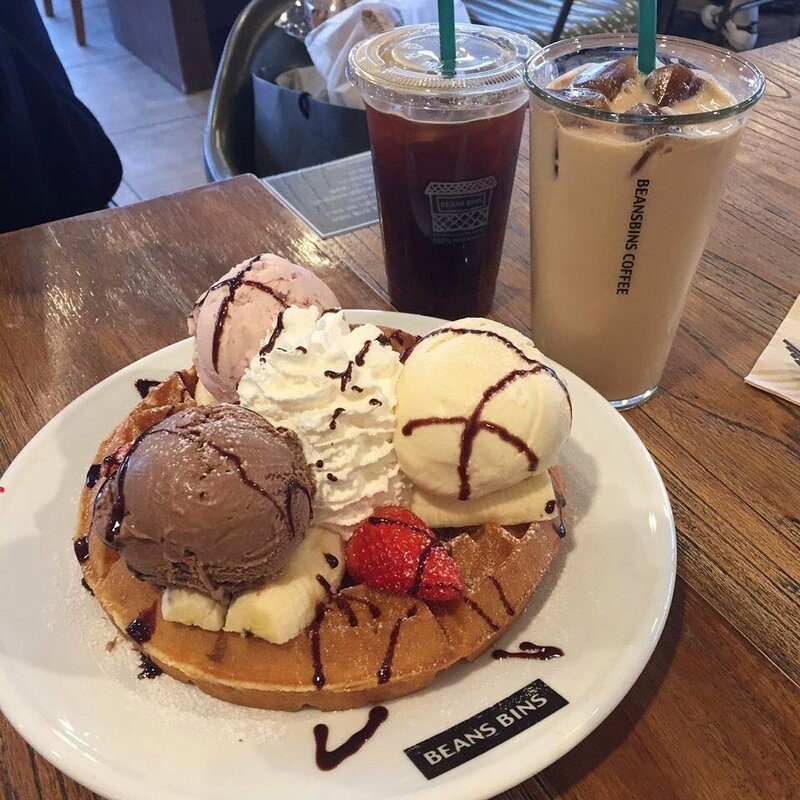 They have a large variety of waffles, ranging from ₩10,000 to ₩15,000 (~S$12.40 to S$18.60). We know it sounds expensive, but keep in mind that they use Häagen-Dazs ice cream – so you’ll be getting quality. The waffles are golden brown and crispy on the outside, while the inside remains fluffy. They even mix chopped walnuts into the batter for that added crunch! Order their Ice Cream Waffle and experience the juxtaposition between hot and cold come together to keep you coming back for more. 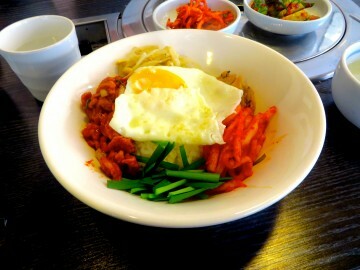 This place offers a chance to escape from the Instagram food craze, and simply wind down in a traditional Korean café. Banjjak Banjjak Bitnaneun prides themselves in using 100% organic ingredients, such as aged tea leaves to intensify the flavour and aroma. We guarantee you won’t find any artificial colouring or flavoring here! With a clean, simplistic interior, you could easily spend hours here avoiding the heat. Their Roasted Injeolmi (rice cakes coated in powdered soybean) is a crowd favourite, only at ₩7,000 (~S$8.70) . 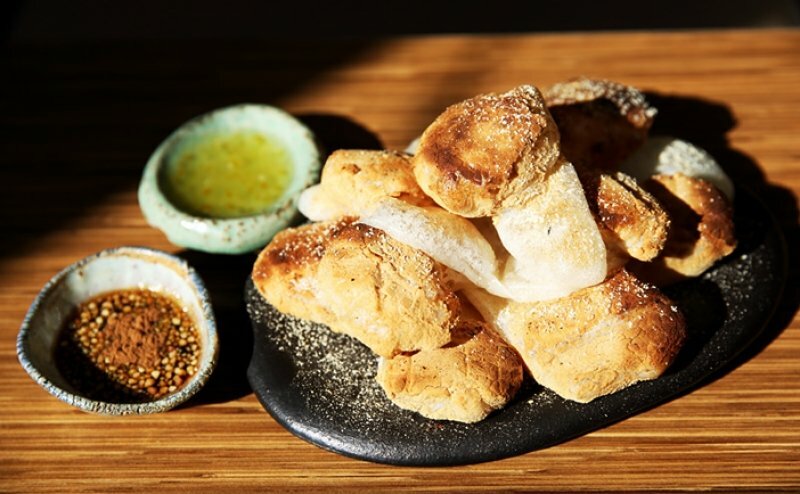 It’s chewy on the inside, toasted on the outside, and comes with delicious honey and yuzu sauce. But if you’re in need of something cold to soothe the heat within you, give their rich Black Soy Bean Smoothie a go (₩8,000/~S$9.90)! Served in a small bowl with a spoon, it’s strangely reminiscent of bingsu as well. This is heaven for cake lovers. Name any cake and Dore Dore will probably have it. Though they originally gained traction for their iconic rainbow cake, they’ve stuck around through the years for their other menu items. They also name their cakes after greetings or moods, which we find absolutely adorable! Wish someone well (or reward yourself) with their ‘Congratulations Cake’, a moist carrot cake spiced with cinnamon. Or lift your mood with their ‘Happy Cake’, a chocolate gatéau filled with fresh cream and bananas. Regain your strength to tackle the weather by savouring a slice of Dore Dore’s cakes! Tip: Make a note to visit earlier in the day, as most of their cakes sell out by 7pm. ‘Little’ sweets with ‘much’ flavour. That’s the meaning behind the name of this quaint establishment that specialises in artisanal desserts and drinks. Touted as one of the best cafés in Seoul, don’t be shocked to see a line forming outside even in the blazing heat. But once you’re indoors, it will all be worth it. If you’re spoiled for choice, ask the server to recommend you one of their many desserts based on your mood and preference! But a safe choice would be their speciality mousse-based desserts, which are sure to take you on a gastronomical adventure. Their drinks are also affordably priced, starting from ₩5,000 to ₩7,000 (~S$6.20 to S$8.70). For something a little summery, try their Lavender Latte; infused with real lavender leaves and topped off with homemade lavender syrup! It’s our personal favourite. Beauty is in simplicity…and Haap Café shows us how that statement definitely stands true, with its modern renditions of traditional Korean sweets. Haap is a hidden gem in Cheongdam, and a welcome change to the café scene that is dominated with flamboyant colourful desserts. 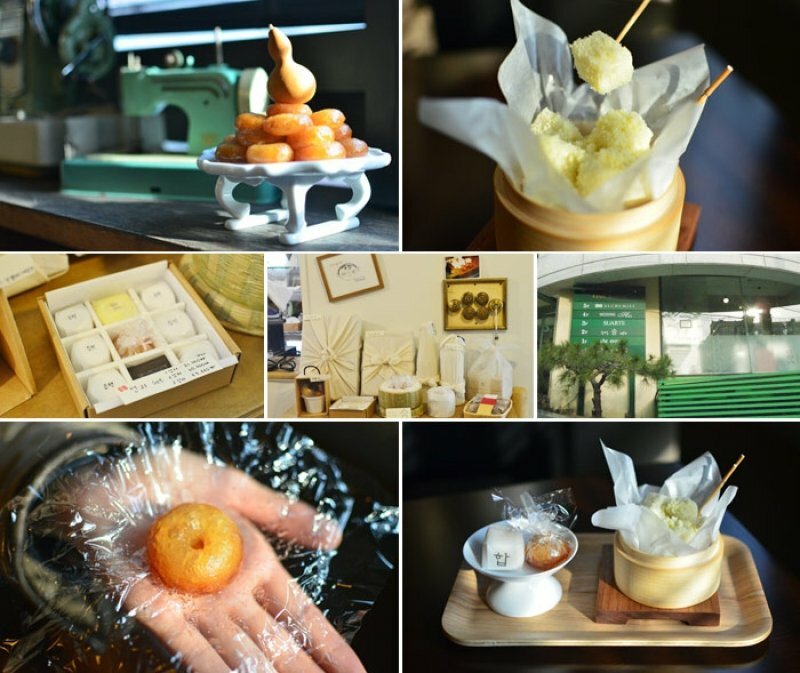 The nondescript establishment offers a wide range of Korean desserts, but they are most famous for their jeungpyeon, a type of rice cake, and juak, a tiny deep-fried donut coated in honey. These come in various flavors such as ginger, apple, citron and so on. At ₩2,000 (~S$2.50) a pop, make sure to give these a shot for an authentic taste of Korea! If you enjoy their treats, you can even buy some to bring home for friends and family at their café. Is that a vending machine? Or is that a door? When you’re looking for Zapangi’s entrance, you just might do a double take! Although not exactly hidden, one could easily walk past the entrance to the café and mistake it for just another vending machine. That is, until people start streaming in and out of said vending machine. Tucked away in Mangwon, Zapangi is prominent for its pink door. But take a step inside and you’ll be wowed by their delightful desserts, ranging from adorable donuts to cakes in a tin. On a sunny day, why not give Zapangi’s summer drink series a try? Their fruity sodas are sure to perk you up, and if not, their Rainbow Sherbert – a brightly-coloured drink that is topped with pastel coloured cream – will surely brighten your day! 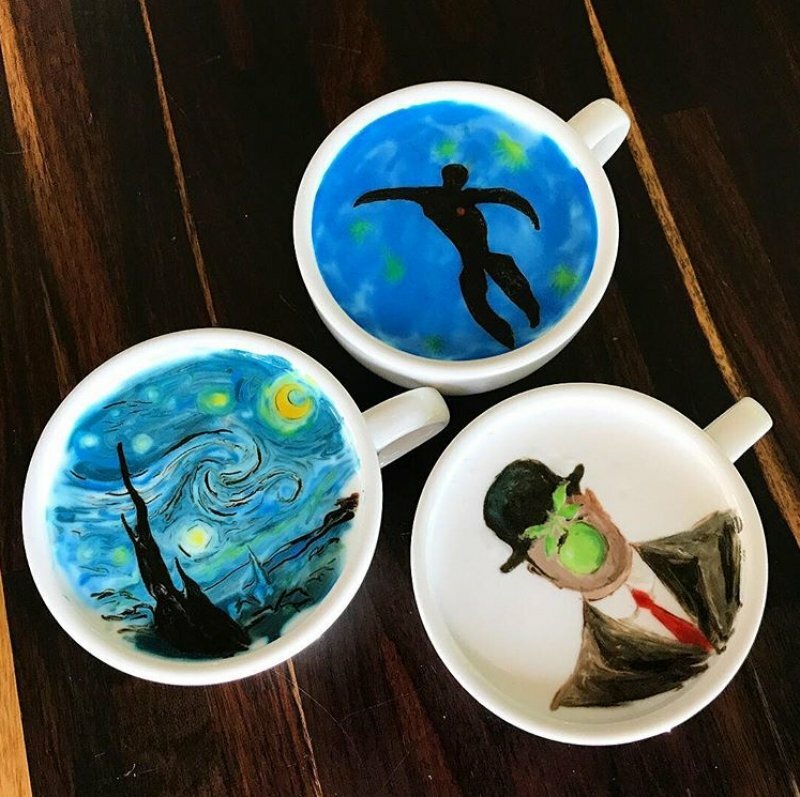 Yep, that’s Van Gogh’s The Starry Night…on a cup of coffee. At C.Through, you’ll be blown away by the baristas’ skill to complete intricate hand-drawn masterpieces on top of your drink. This is the perfect place to escape the heat because you’ll not only be able to cool off with a drink, but also be entertained by the baristas’ showmanship. 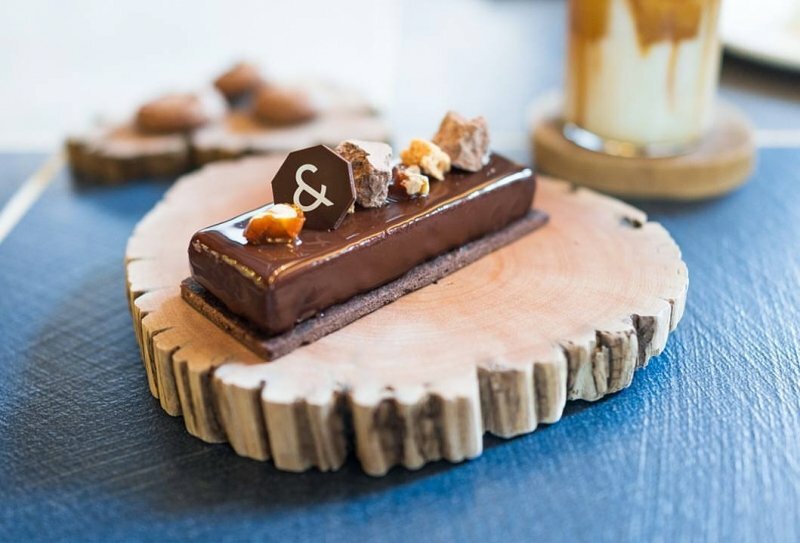 Other than these art pieces, they also serve up innovative creations such as Scotchino (₩6,000/~S$7.50), where butterscotch candy is infused into coffee to give it a buttery undertone. If drinks don’t appeal to you, their tiramisu is also highly raved about! We give this place extra points for their charming baristas, who seem set on wooing all customers. From the sign outside that says “Oh?! You’re so pretty today!” and a menu item titled ‘You’re pretty even if you gain weight’, it’s clear that they want to make customers feel good. You can even get the barista to say “I love you” to you…simply ask for the wifi password. Tip: If you wish to get the Van Gogh latte, make a reservation through the café’s Instagram page. Otherwise, you can choose from a selection of designs in the café as well! With all that’s been said, summer in Seoul doesn’t have to be sweaty and icky. Take short breaks in between your tours at these dessert places, before braving the weather once more. Not only will you be able to rejuvenate in between, but also experience an unforgettable gastronomical adventure. If you require further information, make sure to check out Korea Tourism Organization’s official website and Facebook page. Most importantly, remember to stay hydrated and slather on some sunblock before going adventuring! Brought to you by Korea Tourism Organization (Singapore). With a head of bright blue hair, it's not hard to spot Tracy wherever she is! As a Communications and New Media student, she has her sights set on becoming a Journalist and Graphic Designer hybrid of sorts. She has a penchant for drawing and wishes to sketch all her travels, but in her spare time - she enjoys looking at memes and playing Netball. Tracy also enjoys long romantic walks to the fridge, in search of something to fill her bottomless stomach. 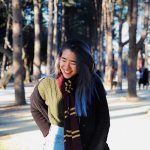 A comprehensive list of the various must try dishes in South Korea and Seoul. If you are wondering what to eat in South Korea you have come to the right place. 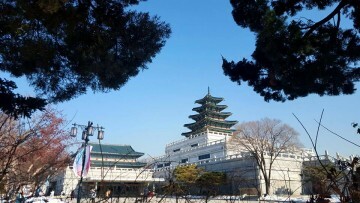 If you’re visiting Seoul for the first time, here are top 5 suggested activities that you can do to enjoy your trip! 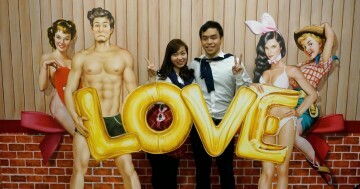 Love Museum, located above the famous Trickeye Museum, is a unique museum in Seoul that takes trickeye pictures of sexual images.